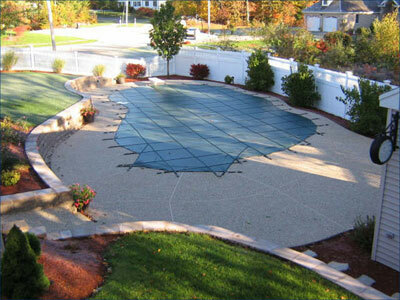 Pools in New England operate in harsh environments and require regular maintenance in order to maintain peak performance. 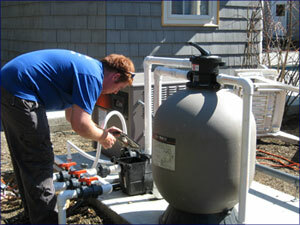 Properly maintained filters, pumps, and sanitation systems ensure efficient pool operations, and eliminate down time. Whether we are performing a minor repair or complete filtration system replacement, we work with our clients to determine the best possible products and installation for their pool. 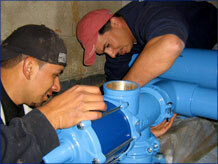 Furthermore, all products we offer are supported by our trained service technicians. Summerizing your pool can be a job in itself especially after a long, messy winter. Avoid the hassle and call us to open your pool and make sure your system is operating optimally and correctly from filtration, sanitation and heating components. Puraqua offers a full, mid range and partial opening to get your pool up and running for the season. The weather is changing and the leaves are starting to fall and winterizing your pool is often a task most don’t want to take on at the end of the season. Winterizing is the most important aspect of pool care to avoid unnecessary repairs come the following spring. Puraqua offers full and partial winterizations. *NOTE: On a partial winterize the customer must lower the water level 6-8 inches below the skimmer on a vinyl pool and below the returns on a gunite.